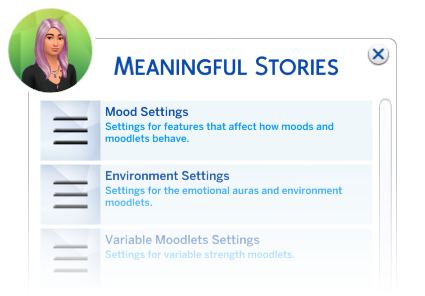 Meaningful Stories is a mod pack that redesigns the mood and emotions system of The Sims 4. This collection of changes big and small aims to allow your sims to feel more human, to make the events in their lives feel more meaningful, and to turn managing their lives into a more interesting challenge. 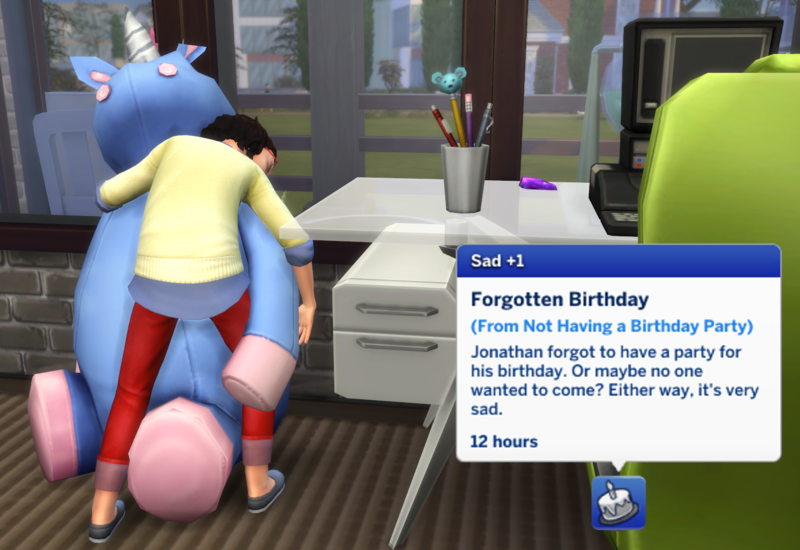 Your sim might get into a depressive rut for days that takes planning and effort and some help from their friends to overcome. Or your sim's creative nature might be filling them with inspiration when they ought to be focused instead, so you send them to work on their novel to get the ideas out of their head. But then something special happens, like a new friend, a promotion, or a first kiss, and they feel truly happy for once, in a way they never have before. In-game Tutorial - You don't need to read everything on this page to understand the mod! 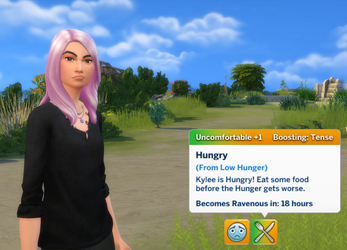 A system of tutorial tip notifications will introduce the features of the mod to you when they are affecting your sims in play. In-game Settings Menu - Every feature of this mod is optional! If there's any particular thing that doesn't suit your play-style, you can tweak it or turn it off using the in-game settings menu. To access the menu, click on your active sim, open the 'roBurky' category, choose 'Meaningful Stories'. With Meaningful Stories, emotions behave in ways that are smarter, subtler, and more varied. A sim won't be able to flip from intense sadness to intense happiness without passing through the emotions in-between. A nice room and a comfortable seat won't cause a mildly amused sim to laugh themselves to death. And small amounts of discomfort can make a sim more susceptible to negative thoughts. Emotional Inertia - Your sim's emotional state will be less predictable but more stable. Changes in mood will be more significant and last longer, and getting your sim to feel the emotion you want can be a little more challenging. The emotional inertia feature in Meaningful Stories is an entirely new design when compared with the older stand-alone mod of the same name. True Happiness - Happiness will no longer be your sims' default state. They will feel truly happy only when something worthy of it happens to them, and it should feel like their life is improved for experiencing it. 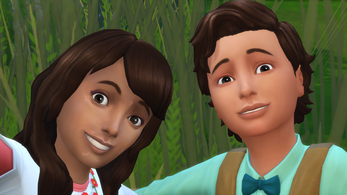 Environment Effects - Artwork and objects with an emotional aura will no longer affect your sim's moods immediately. The effect will be more subtle, building up and falling away over time. Variable Moodlets - Some sources of emotional moodlet will sometimes give stronger or weaker effects, making your sims' lives a little more unpredictable. An early access preview of upcoming features is available for patrons of roBurky. This mod has only been made possible by the continued support of my patrons. Thank you! This mod includes the effects of other mood mods created by roBurky, and those mods should be uninstalled before installing Meaningful Stories. This mod has been made to avoid using tuning overrides and has no known incompatibility with mods by other creators. This mod is in continued development, supported by the community. If you like this mod, you can help it get expanded further and play with new features early by becoming a patron. To keep informed of updates to the mod, click the 'follow' button on patreon for email alerts. You can also follow roBurky on tumblr and twitter. To talk about the mod with other players, or get live help with installing or using the mod, join our Discord server. Extract the contents of the zip file into your 'Documents/Electronic Arts/The Sims 4/Mods' folder. Meaningful Stories is now available!